News of the blaze that engulfed the famed Notre Dame Cathedral on Monday evening has struck a chord with more than just Parisians. 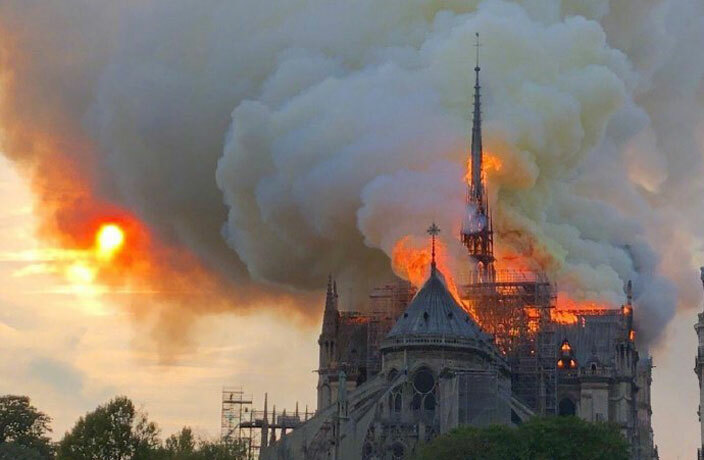 Across the world, people have been rocked by tragic images and videos of the 850-year-old cathedral going up in flames. Roughly 500 firefighters helped save the structure from complete destruction; however, two-thirds of the roof was destroyed, according to the New York Times. As of press time, the trending Weibo hashtag #NotreDameCathedralLargeFire (#巴黎圣母院大火#) has been followed over 1.2 billion times, and over 500,000 netizens are discussing the topic. Others spoke to the future, hoping other historic buildings and structures will survive the test of time. “I really hope the world doesn’t have to suffer through another one of these cultural structures like the Old Summer Palace and Notre Dame Cathedral being reduced to rubble. I hope that in the years to come, future generations will still have real things to admire,” wrote another Weibo user. Like the person above, many Chinese netizens have compared yesterday’s tragic fire to that of the Old Summer Palace, which was looted and burned down by British and French forces during the Second Opium War. Other comments referred to the cathedral’s burning down as retribution for the ravaging of the Old Summer Palace; however, many were quick to challenge those cynical remarks. “War is guilty, art is innocent. The guilty are the aggressors, not buildings,” commented one person. The tragic accident occurred in Changde, Hunan on March 22. According to pictures taken at the scene, a number of cars were totally destroyed during the fire. An 81-year-old woman has died after a six-storey residential building in Zhenlong town in Huizhou collapsed yesterday. One person is dead and two are missing after a fire broke out on an oil tanker one nautical mile south of Hong Kong’s Lamma Island.